Stylish Brakeburn Backpack featuring the Sausage Dog design. Printed on to coated canvas and with a fully lined inner. A large main compartment is perfect for everyday items or even travel. 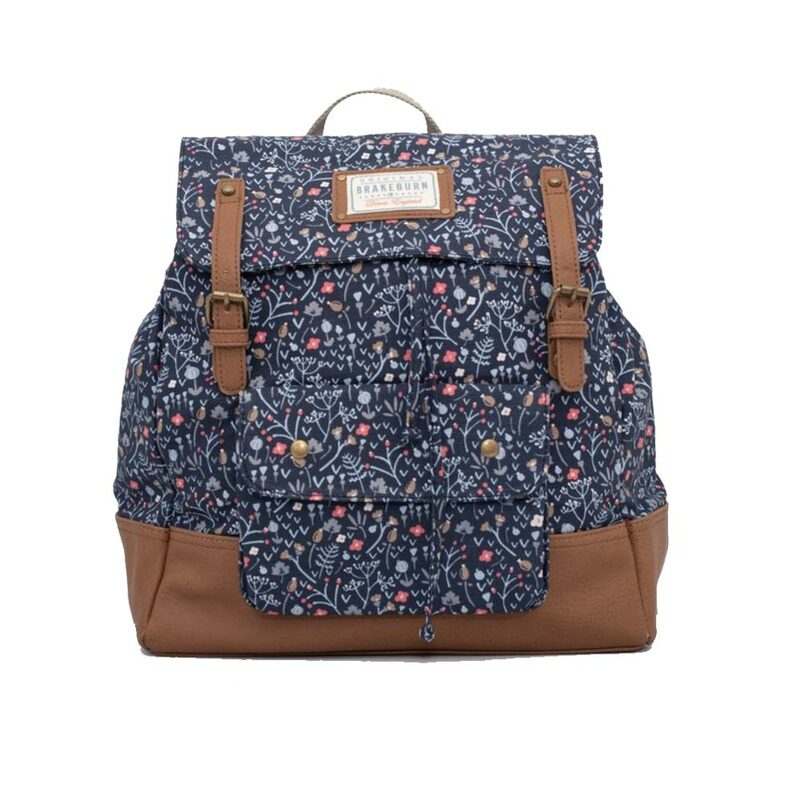 It features padded and adjustable canvas shoulder straps and canvas twin grab handles. Zipped external pocket on the front and internal pockets along with a mobile pouch. 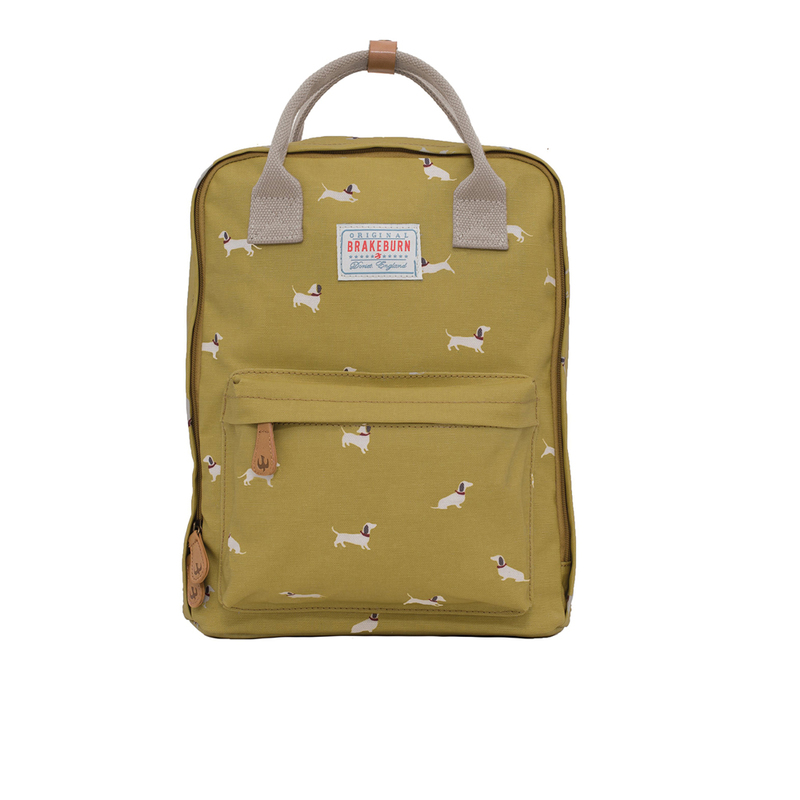 Stylish Brakeburn Backpack – Featuring the sausage dog pattern.